We would not be gardeners without the odd issue here and there… but slugs are both here, and there and everywhere… it is the pest we love to hate. Perhaps if we find out a bit more, we might change how we feel about them - right? Well, I for one, doubt that… but here goes…. Slugs are actually gastropods but did you know they are also hermaphrodites? - with both male and female reproductive systems they can mate with themselves if need be; however, with a mate, they can “make love” for up to an hour and a half !!! Yikes. Therefore, each slug can make about 3 dozen eggs a few times a year - that is a lot of little slugs who quickly become adults in only 6 weeks. Because slugs can live for several years, they get bigger and hungrier. Did you know an average sized garden can house up to 200 slugs? and each one of those 200, can eat up to a pound and a half of plants. No wonder it feels like we are losing a battle ! They eat and drink constantly and need a lot of moisture because they lose theirs through that icky slime they create. They can eat twice their body weight in a day because they have 27,000 teeth - imagine that dental bill! So to keep them from eating their favourites - and yours - (Hosta and Delphiniums) keep the leaves up off the ground. Photo of Gray slug by Ralph E. Berry - Oregon State Univ. ... beer, grapefruit rind and cabbage. After they drown in the beer - dump the beer and slug corpses in the compost…. and don’t be tempted to drink the beer. If you have youngsters around, let them make a house for the slugs to play in…. cut a grapefruit in half, eat the good stuff and before you turn the rind over in your garden, cut out a little door for them to enter.. In a couple of days, the slugs will still be partying under it and then you can do what you wish with them at this point. When you have your pile of dead slugs - remember they are full of protein… they make great snacks for cats, fish and even ducks. But best of all, put them (dead or alive) into your compost bin - they will be happy there and stay put… and while they are being happy, they will break down paper and improve your compost.. then that compost goes on your garden to make stronger plants that will resist the little monsters. In your compost bin, and because they are carnivores, the living slugs and will eat the dead slugs and so the cycle continues. Also, slugs are don't like mint, garlic, chives, foxglove, geranium or fennel. So feel free to plant them liberally around your Hosta beds. DIATOMACEOUS EARTH is just a fancy name for powdered fossil skeletons, but ground up eggshells work too… place a goodly amount around the plants and those sharp edges will slice nastily into the soft skin of the slug, causing it to dehydrate and die. HAD A HAIR CUT LATELY?? Some other folk swear by using cut hair- human, or animal… but I don’t like the idea of canvassing hair salons for bags of human hair… somehow the story is not met with open minds…. I also don’t like how it looks in the garden, it's a bit sinister, don't you think? 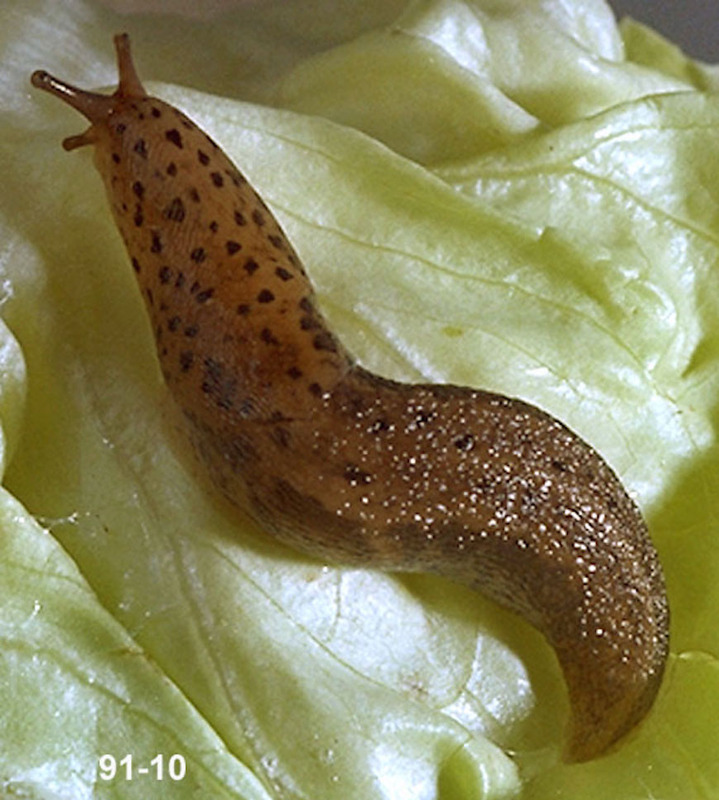 Finding the dreaded slugs in planter pots has other desperate individuals coating the outside with petroleum jelly so they (the slugs, that is) slide off, but imagine all the other things that would be stuck there…yuk. So before you try any one of these methods to rage your own personal attack on slugs, think about the other consequences of these home remedies and decide what works for you while not making more work for you in the long run. For example, if you sprinkle oat bran around your plants, and the slugs eat it, you might find some exploded slugs hither and thither…. not a pretty sight; besides, who wants to clean up that mess? Or, you could get a few chickens… they love slugs… and what entertainment it would be, to see them chasing down your dreaded slugs… no guarantees what your garden will look like as the chase ensues, but the chickens will thank you with more eggs and your slug problem will be history… However, you may have to plant a new garden. If you like the idea of watching the demise of a slug, you could pour salt on one…. little boys love to do this, watching the beasts shrivel up and die. However, the salt is not good for your garden and you know how exuberant little boys can be when they’re having some perverse fun …so hold the salt. And for a more biological approach, try Nematodes - (check wikipedia fhttp://wikipedia.org for a very, very long description). Some experts say if you mix the powder with water and use it on the earth around the plants, it will kill slugs above and below the ground… and should last for up to 6 weeks… spring would be a good time to do this and again mid-summer. Serious and Silly Ways to Kill or Outwit The Garden’s Number One Enemy. In the meantime, happy slugging.